If you are feeling despondent about politics in America in 2018, I recommend you google YOUTUBE RIEFENSTAHL TRIUMPH OF THE WILL. People make a lot of glib comparisons between Trumpf’s Administration and Nazi Germany. Leni Riefenstahl’s great documentary of the 6th Nazi Party Congress in Nuremberg in 1933 will make you see how the present differs from that dismal event eighty-five years ago. The film is one and three quarters of an hour long, but it is mesmerizing in its icy control and will suggest several major differences between then and now. First of all, Hitler and the Nazis were always on message. There are no 3 am Tweets that contradict one another. The Führer knew what he wanted to say and said it—even when he was lying through his teeth. A major attempt is made during the Congress to heal the split between the Brownshirts (the Stürmabteilung or SA) and the SS. Yet between the Congress and the time this film was released to the German public, the Night of the Long Knives took place, and the Brownshirts were purged, and many of its leaders were executed without benefit of trial. I can only wonder how the German people interpreted all the happy talk about the SA in the film when it was finally released. Then, too, America is very different. Instead of all those Nazi salutes and Sieg Heils, there would be thousands of upraised middle fingers and hurled garbage. 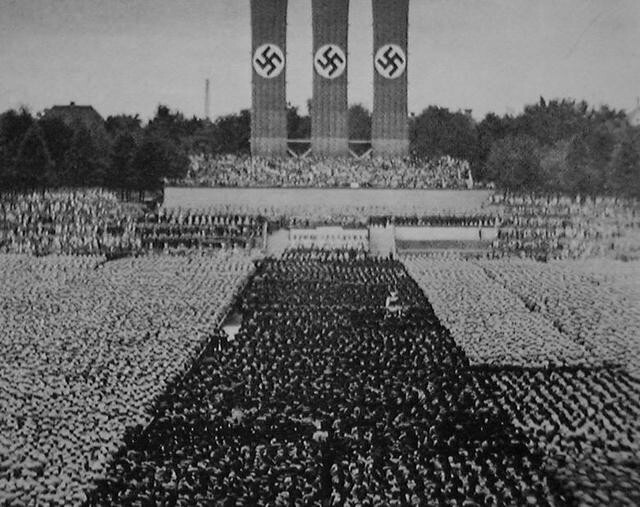 The only way Trumpf can raise a great multitude is in his dreams (witness the size of the inauguration crowd in January 2017). Despite the fact that women do not play a major part in the 6th Nazi Party Congress, the film of the Congress was directed by a woman who was probably one of the greatest of all women film directors. Whether or not she was a loyal Nazi, she knew how to make a great film. Her film of the 1936 Berlin Olympiad was perhaps the greatest sports film ever made. Its hero turned out to be a non-Aryan American, the great black athlete Jesse Owens. 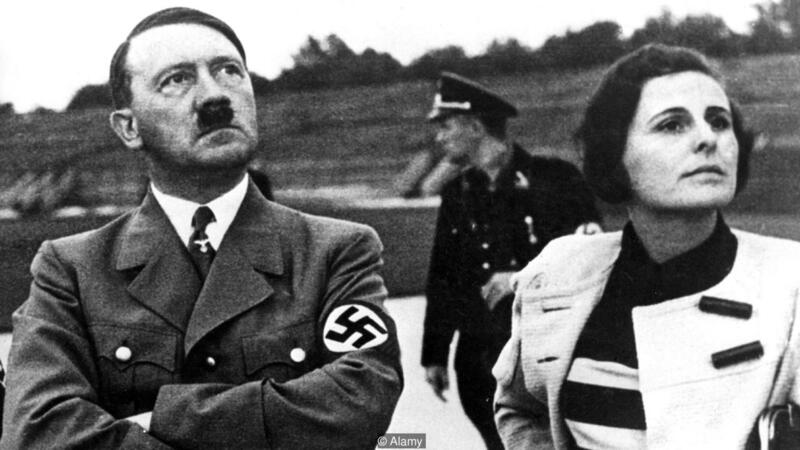 Riefenstahl got her start as an actress in a strange German film genre of the 1920s: brooding, mystical mountain films such as The Holy Mountain and The White Hell of Piz Palü. This entry was posted in film, politics and tagged hitler, nazis, triumph-of-the-will, Trumpf. Bookmark the permalink.